Root > Tools > Viewer > How do I...? > ...print report? You can print either one report tab at once or the entire report with or without the report. • To print just one tab - select it and then select the desired tab ("General", "Call Stack", etc) and press the "Print" button. 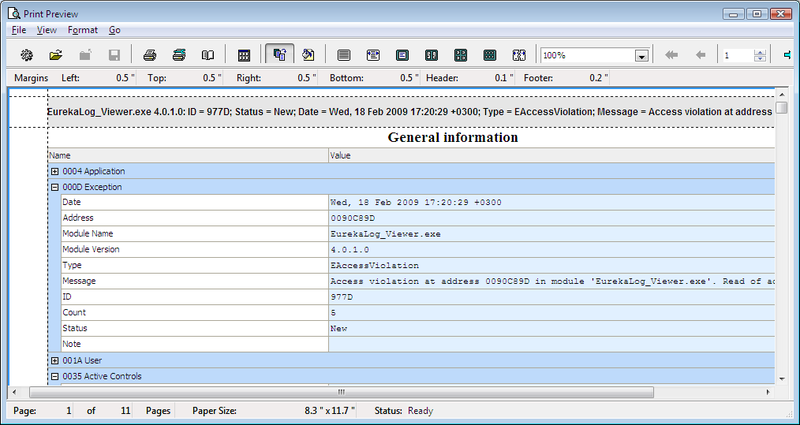 • To print the entire report - select it and press the "Print" button.